Paddington is 6.7 inches tall and made of the finest mohair. From Darkest Peru, Paddington, named after the London Train Station where he arrived, found a home with Mr. & Mrs. Brown. Paddington is 6.7 inches tall and as full of charm as the larger one. 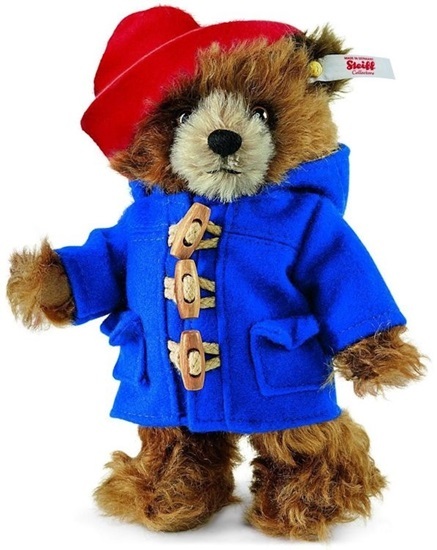 Made of the finest chestnut colored mohair with safety eyes, Paddington is wearing his blue coat and red hat. Made in Germany exclusively for the U.S. and U.K., he has a gold plated button ear tag and is 5-way jointed.